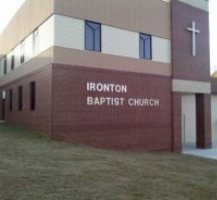 Located in Little Rock, Arkansas, Ironton Baptist Church is a body of believers eager to serve our Lord and Savior, Jesus Christ, through dedicated ministry in the world around us. It is our prayer that through these efforts, His name would be glorified and His kingdom would be expanded. We offer classes and activities for all people. Our wide array of groups and organizations allow individuals to interact with others in Bible study, worship, and service opportunities. All of these activities are intended to spread the Word of God throughout our community, our state, and our nation. We would like to extend an invitation for you to come worship and fellowship with us. If you are seeking a church home, come visit. We may be just what you are looking for. God Bless.